With 450-plus brands — representing hundreds of categories and thousands of products — the SM Transparency Catalog™ brings together all manufacturers who have made the commitment to product transparency. Most importantly, it presents their information in a well-designed, simple and standardized way, making it easy for green building professionals to find credibly greener and healthier products to meet rating system requirements and build higher performing buildings. 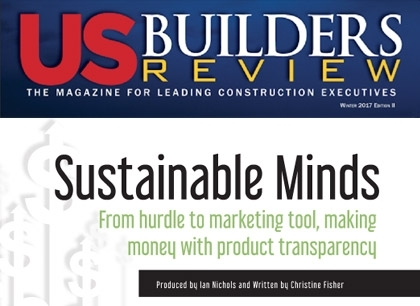 CEO and founder Terry Swack says her company, Sustainable Minds, wants to reward product manufacturers for making products that actually have better environmental performance and are made from materials that contribute to a healthier built environment. To create preference and demand for these products, however, she says the market must learn to understand what product transparency information means. Sounds simple, but it’s a tall order, even for the Cambridge, Massachusetts-based software company that’s been doing it for years. Product transparency involves disclosing detailed information, including what products are made of, how they were produced and where they come from.